Let’s just take a second to think about how gross our mouths can be. Seriously. Brushing your teeth is great. 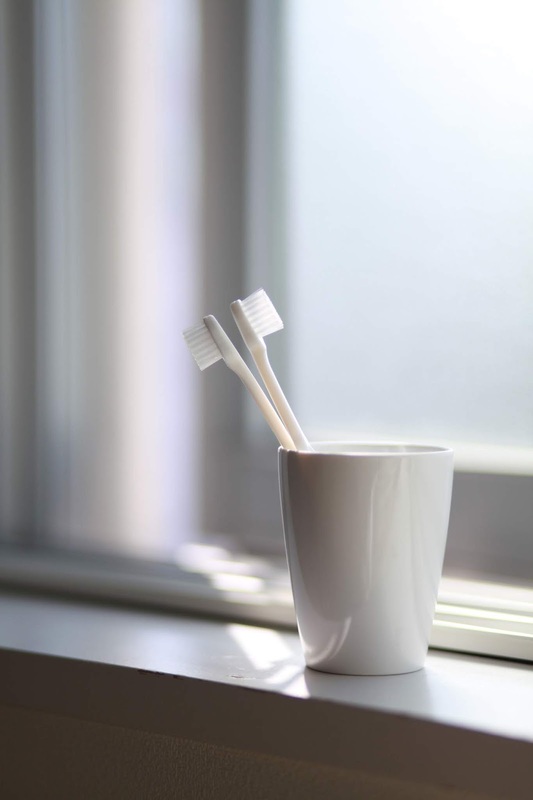 Flossing is also something you absolutely need to do every single day, but there are some other things that you should definitely do to make sure you keep your mouth clean. I take pride in all of my routines - morning, evening, skincare, workout - and believe it or not, I even have a routine to keep my mouth clean and healthy that I swear by. I've included the products I use so you can shop right from the blog! Some affiliate links are used. Every morning, I brush my teeth. I love Arm & Hammer’s toothpaste, but I’m going to try Dr. Bronner’s next! I brush my teeth first thing and I don’t even drink my water until I’ve brushed my teeth. I’m not trying to swallow all that bacteria in my mouth and put it right back into my body. No, no, no! I also just started cleaning my tongue. I use this tongue cleaner from Amazon and let me tell you… if you don’t clean your tongue, you NEED to! There is so much bacteria that just sits on your tongue and you’ve got to get it off. I used to brush my tongue with my toothbrush, but honestly… a tongue cleaner works so much better. In the evenings, I’ll oil pull. I use coconut oil and do it while I shower and straighten up after coming home from work. It only takes about 10 minutes and I can just go about my evening while I’m doing it. Before I go to bed, I’ll floss and then I brush my teeth with a toothpaste I make using coconut oil, baking soda, and tea trea oil. I’ll also use this charcoal toothpaste occasionally. I also clean my tongue again the evenings. We all (hopefully) brush our teeth, but you’ve also got to floss every day! Also, clean your tongue and start oil pulling. Your mouth will thank you for it! 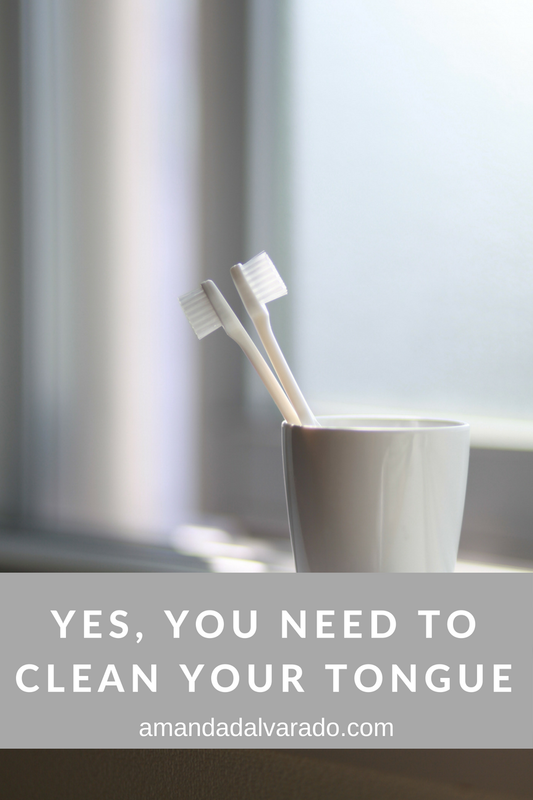 I've never thought of cleaning my tongue more than just using my toothbrush on it but I think I need to! My best friend and I were just having a conversation about tongue scrapers. I thought the same thing, but then decided to just try a tongue scraper and it has made all the difference!